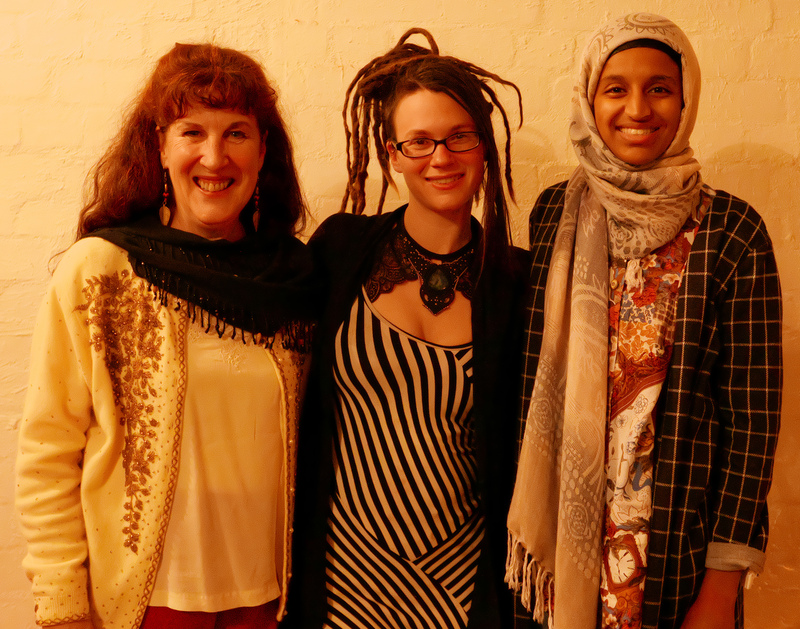 I was a feature poet at Mother Tongue, Brunswick, October 14, and here I’m with Fleassy Malay (performance poet and Mother Tongue host) and Manal Younus, from Adelaide, the other feature poet on the night. 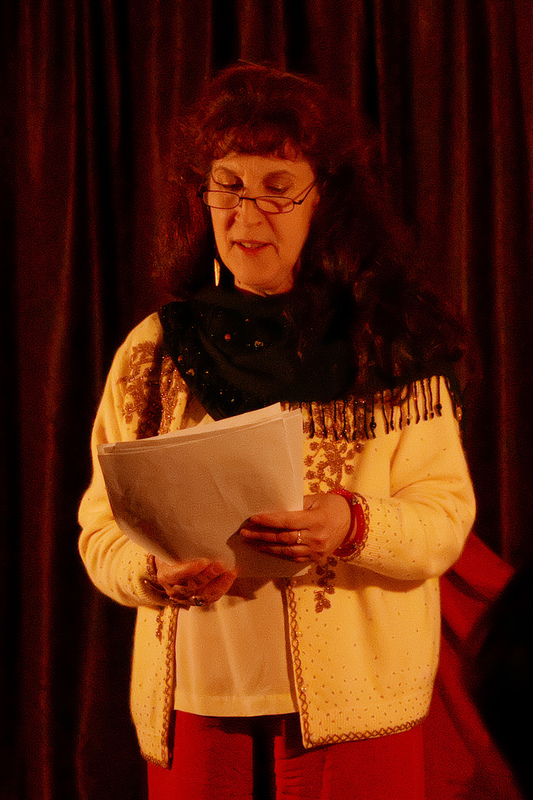 Reading my poems and stories at Mother Tongue, Brunswick, Oct 14. 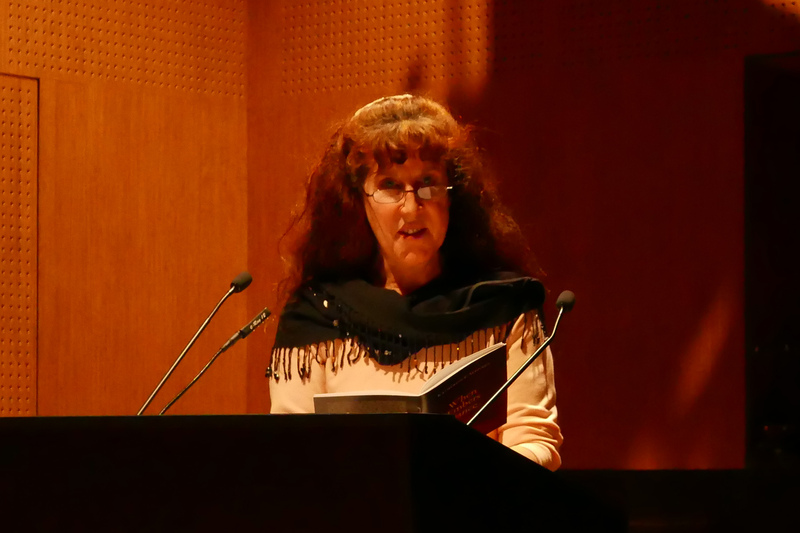 On September 28, I read at MPU Celebrates! at the Docklands Library, with poets Bronwyn Blaiklock, Debi Hamilton, Fee Sievers, Alana Kelsall, and Robyn Peck, all celebrating our recent Melbourne Poets Union chapbooks and Debi’s MPU Poetry Competition win. Images on katherineseppings@wordpress.com by Katherine Seppings is licensed under a Creative Commons Attribution-NonCommercial-NoDerivs 3.0 Unported License. Permissions beyond the scope of this license may be available at kseppings@castlemaine.net.